Small log cabin originally built in 1760. In 1970 the cabin was taken apart and moved to Risnes Island. The cabin has been maintained from the original form with log walls and small-paned windows. 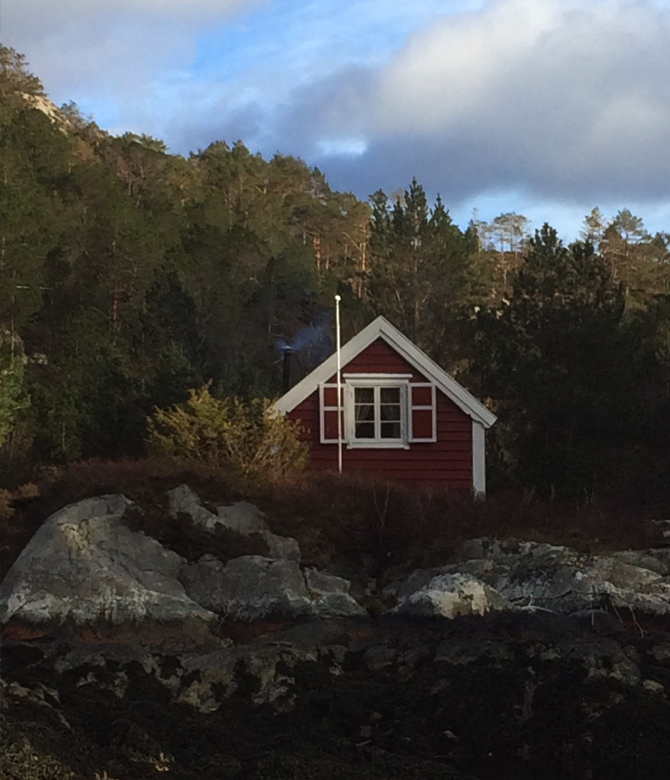 The cabin is located in idyllic surroundings at the inlet to Lifjorden. The Risnes tide (Risnesstraumen) flows just outside the cabin with shifting speeds from 0 to 6,5 knots as the tide changes. The cabin has one bedroom, a small kitchen, living room and a hallway. This cabin also has an outhouse for using the toilet. There is only cold water in the cabin and heating is done by the wood fireplace. Cooking and the refrigerator run on natural gas. One has access to a shower and bathrooms on the mainland. This cabin fits all that want to “get back in touch with nature”.